Our grandsons, five and two and a half slept over last night. We had a lot of fun and the night went relatively well, so mission accomplished. We will bundle them into our vehicle soon and make the half hour drive to Trenton, their home, and where there father, our son, is the minister of the church we'll attend this Pentecost morning. These lads are a glimmer of hope in the diminishing church. The younger of the two assumes that this morning will be Messy Church, an event now held by some congregations at a time other than Sunday mornings. It involves lots of interactive, playful activities for sharing the Good News. Food is involved and the hope is that families will come together to enjoy faith and interaction. There was a Messy Church event at Trenton UC last week and 20+ kids were involved, along with the adults, which is encouraging for a congregation where children had all but disappeared. 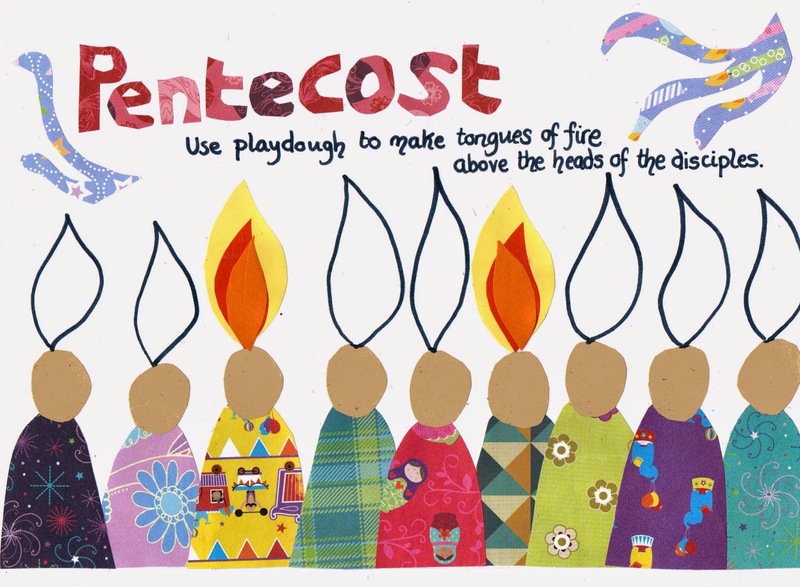 Pentecost Sunday is a day to celebrate the swirling, chaotic, empowering work of the Holy Spirit in the midst of the first Christians. They were in a "what next?' mode after Jesus' death and resurrection, but when the Spirit came they were emboldened and energized. We're sleepy and kinda relieved that Pentecost will see the boys back with Mom and Dad, yet we're also delighted by their presence and joie de vivre. We can pray that Christ's body, expressed through the United Church of Canada, can be transformed and inspirited.